Even though you may not be able to check in on your son or daughter as much as you’d like, reminding them of ways to stay safe on campus is one way for you to help from afar. 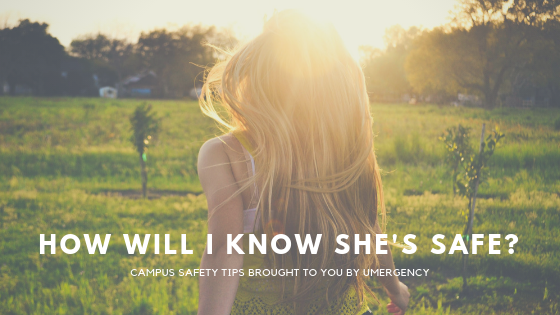 We’ve partnered with Umergency, the emergency app for college families, to share helpful Campus Safety Tips that you can share with your son or daughter to help keep them safe. With 4.5 million ER visits every year for college-age students, most families will deal with an emergency, health or safety issue during their university years. Don’t wait to get that phone call in the middle of the night. Be prepared for anything with the Umergency App. According to the U.S. Department of Education, National Center for Education Statistics, there were 27,500 criminal incidents reported against persons and property on campus at public and private 2-year and 4-year postsecondary institutions in 2015. 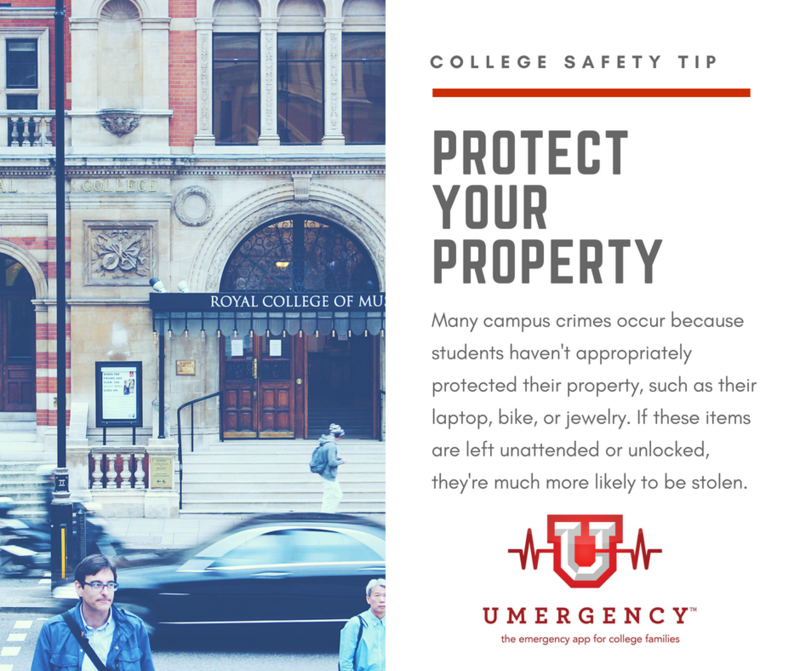 Many campus crimes occur because students haven’t appropriately protected their property, such as their laptop, bike, or jewelry. If these items are left unattended or unlocked, they’re much more likely to be stolen. 1 Includes other reported crimes not separately shown. 2 Unlawful entry of a structure to commit a felony or theft. 3 Theft or attempted theft of a motor vehicle. 4 Any sexual act directed against another person forcibly and/or against that person’s will. NOTE: Data are for degree-granting institutions, which are institutions that grant associate’s or higher degrees and participate in Title IV federal financial aid programs. Some institutions that report Clery Act data—specifically, non-degree-granting institutions and institutions outside of the 50 states and the District of Columbia—are excluded from this figure. Crimes include incidents involving students, staff, and on-campus guests. Excludes off-campus crimes even if they involve college students or staff. Some data have been revised from previously published figures. SOURCE: U.S. Department of Education, National Center for Education Statistics. (2018). Indicators of School Crime and Safety: 2017 (NCES 2018-036), Figure 22.1. 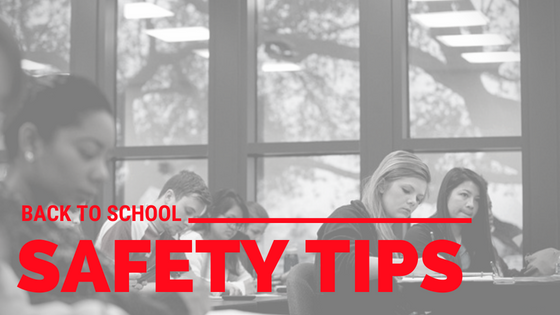 In order to keep your student’s property safe on campus, here are five suggestions to share with your son or daughter. Keep the door(s) and windows in your residence hall closed and locked, especially when sleeping. Don’t put your name or address on your keys. Use a heavy-duty bike lock whenever parking your bike, and make sure to lock the frame to a secure bike rack. Bike theft is one of the most common crimes on college campuses. Never leave valuables unattended or in plain sight, such as leaving your laptop out on your desk and leaving the room, or leaving your laptop unattended while taking a bathroom break at the library. 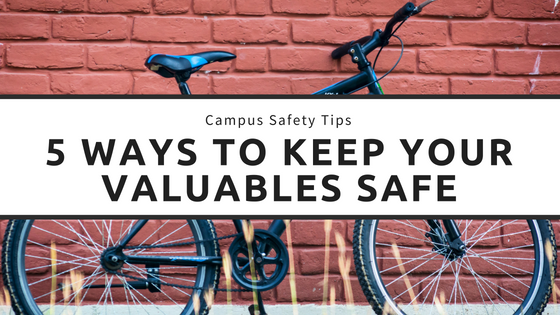 Keep unnecessary valuables at home, rather than on campus. 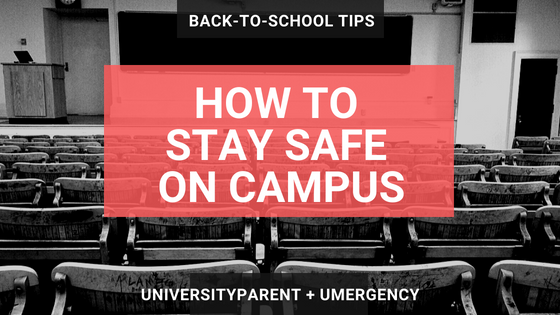 These Campus Safety Tips are brought to you by Umergency, the emergency app for college families. Umergency puts the power of information in the palm of your hand. Helping you navigate through any situation. Connecting you and your student with the most important local contacts. Pull up a map of nearby resources and keep your student’s insurance information and digital medical consent form securely stored right where you want it. It’s always ready to go… on their phone and yours! Download the Umergency App today on Google Play or iTunes. How Do You Know If Your Son or Daughter is Safe?